I know, I know, running shoes are there to be used and to run on, but I also love my babies (especially the brightly coloured ones) so I try to keep them as clean as possible so they stay pretty forever. 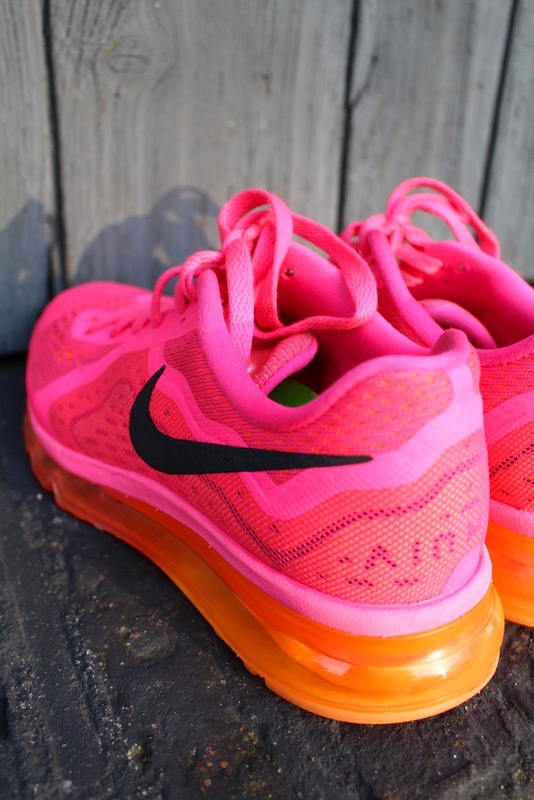 Some shoes just only look good when they remain in pristine condition, which is definitely the case with my neon pink & orange Nike Airmax 2014. I mostly wear these to the gym, but they're also great for running, since it feels like you're running on little clouds. SO I've had to find a way to clean them after muddy runs, and I thought I'd share my tricks today! 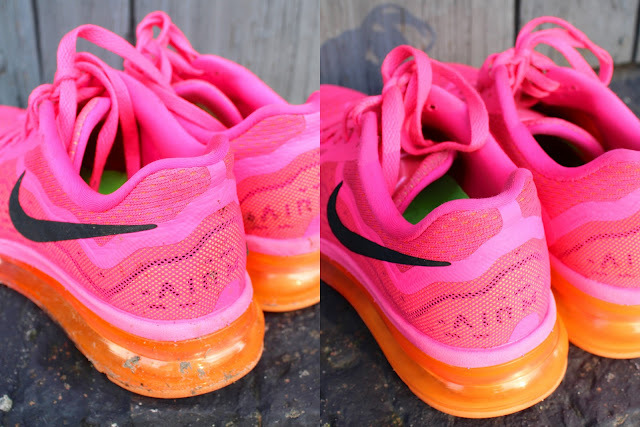 Small disclaimer: I know these shoes don't look that muddy/dirty but I've wanted to share these tips for ages so I took these pics after my last run, which was a little bit muddy but not as bad as other times. These kicks have definitely gone through worse but always got out super clean! * It's important you use powder which is suitable for coloured clothes. if you use anything else, there might be bleach in it which will change the colour of your shoes, which is definitely not something you want! 1. Take your shoes to the sink and start by rinsing off the soles so most of the mud comes off. 2. 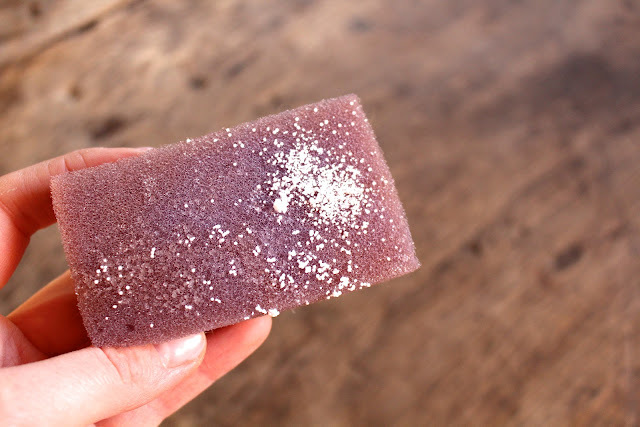 Now take the sponge (wet) and use it to rub off any additional mud from the soles which are usually the muddiest. 3. Rinse the sponge and squeeze it until it's only damp, not soaking wet. Sprinkle some of the Oxi powder on it (like in the picture below). Now simply rub the parts which are dirty/muddy until the stains have disappeared. If it's only mud, this should go quite easily. The little Oxi 'grains' acts as kind of a scrubbing agent, which makes the stains disappear in a flash. 4. When you're happy with the result, carefully rinse off the surface of the shoes one last time and dry with a cloth/towel. 5. Leave your super clean sneakers to dry somewhere. Never put them directly on a hot source like a radiator or in a tumble dryer. This is really bad for the foam in the soles and the elastic parts of your shoes. Instead, put them near a warm source, like I put mine next to the AGA to dry for one night. Floor heating is also perfect! Leave them there until they're completely dry again. And now your shoes look like new again, I LOVE this! 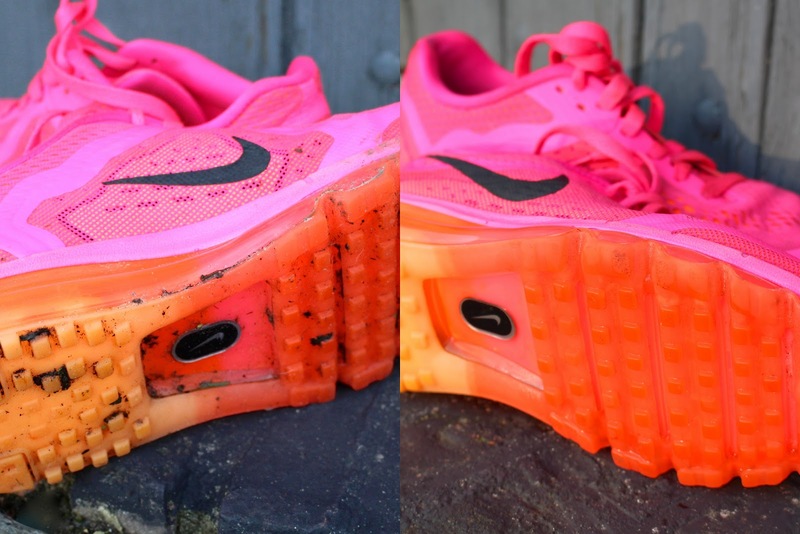 I hope these tricks help you keep your (running) shoes clean. 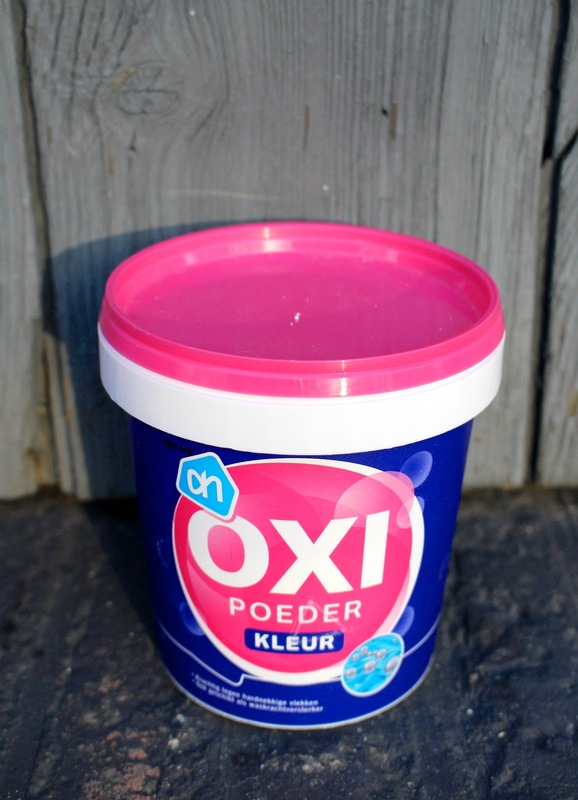 I have to give some credits to Annemerel, who gave me the idea of cleaning my shoes with Oxi Action, it's works like a dream!